Robison is "officially" a Southern Baptist evangelist (but sounds more like a holy-roller Pentecostalist), who claims to have a "ministry of reconciliation" (translated "unconditional acceptance and love based on feelings rather than on truth"). Pictured to the right are James and Betty Robison. In 1982, he claimed to have been "exorcized" of demons, and as a result, began converting to the charismatic movement. "I tell you what, all the critical Protestants standing around knocking Catholics, you'd better watch it! God'll run right by you, pick up the whole Catholic movement, and wrap them up in Jesus and just love them, and strip everything that is wrong there, and make them an expression to the whole earth. He may be doing it right now. I tell you what, one of the finest moral representatives of morality in this earth right now is the pope. People who know him really believe he is a born-again man." (Reported in the 2/10/92, Christian N ews). - In the November/December 1986 issue of Day of Restoration , James Robison wrote that the miracle of Christmas is "that Christ is formed in you;" that "our actual purpose in this world: receiving and expressing the fullness of the life of Jesus." He goes on to say that "God wants us to see Jesus as merely the big brother in a huge family of brothers and sisters like Him." Further, he states that II Corinthians 5:17 means that we "have the divine nature, the eternal life of God." Still Christ must be "formed in you." (a) Charismatic demon warfare/deliverance (commands "death" to the growth on his daughter's lip). Believes that he has authority from God to cast-out demons, as do all Christians who really believe that they are "to do the ministry of Jesus ... You have total authority over demonic powers. You can cast them out." (b) Dominionist/Reconstructionist view that "Israel" is now the "Church" (all the old covenants of God with Israel now belong to the Church). (c) Claims to have periodically received unrestricted healing power -- "Everybody I prayed for during that period were instantly healed." (d) Claims to speak directly with Jesus. (e) Claims that the Holy Spirit "moves on" his Bible conferences to such a striking degree that even one man was "literally lifted off the ground." (g) Gives credit to the following mystic healers as those exemplifying the works of Jesus in their ministries: John Wimber; Kathryn Kuhlman; R.W. Schambach; E.W. Kenyon; and Oral Roberts. - Promise Keepers is the gigantic new (1991) "men's movement" among professing evangelical Christians. Its roots are Catholic and charismatic to the core. PK's contradictory stand on homosexuality; its promotion of secular psychology; its unscriptural feminizing of men; its depiction of Jesus as a "phallic messiah" tempted to perform homosexual acts; and its ecumenical and unbiblical teachings should dissuade any true Christian from participating. Promise Keepers is proving to be one of the most ungodly and misleading movements in the annals of Christian history. Nevertheless, Robison is a promoter of this ecumenical, charismatic, psychologized men's movement, as evidenced by his speaking at two of PK's 1996 men's conferences. - Robison places himself and his ministry above criticism. He equates those who measure a practice or ministry by Scripture with the unbelieving scribes. This effectively insulates his teaching and practice from Scriptural critique. He is equating opposition to his ministry with non-recognition of the person and ministry of the Holy Spirit. Robison hides behind a facade of true adherence to the moving of the Spirit of God in order to insulate his theology and practices from those who would unravel the facade with God's Word. At the same time, he equates anyone that would challenge that facade with those who will not recognize Jesus' authority and work. This is a cult mentality that does not address the real issue -- whether or not these practices and ideas are Biblical. 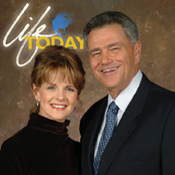 * In 1986 Jack Deere believed the miraculous gifts of the Holy Spirit had passed away. He had just completed his 10th year as an associate professor at Dallas Seminary, and 7th year as pastor of a Bible church. Then he invited British psychiatrist John White as guest speaker, and reluctantly agreed to let him teach about miraculous healing. Soon after, Deere's thinking "radically reversed." He said: "First I began to believe that the scriptures taught that healing and miracles were for today. Deere is one of the most powerful spokesman for the Vineyard. His book Surprised by the Power of the Spirit is probably the best defense of the Vineyard's views and has undoubtedly drawn many into the movement. His 1995 book, Surprised by the Voice of God, is supposed to be a treatise on how to tell God's voice from our own, or even Satan's. In this volume, he defends the view that God is giving fresh revelations today. In a private interview with Graham Banister following a Vineyard conference workshop taught by Deere (March of 1990 in Sydney, Australia), Deere was asked, "What is the Gospel?" Deere asked Banister what he thought the gospel was. Banister replied that it was about Jesus Christ who died for our sins was buried and raised on the third day and that it is this gospel by which we are saved (1 Cor. 15). Deere's reply was that this was not the gospel. When asked what, then, is the gospel, Deere replied, "I'm not prepared to make a formal statement about that." When asked, "Could you perhaps tell me informally what you believe to be the gospel?" Deere answered, "I'm not sure. ... I used to be just like you ... thinking the gospel was simply justification by faith." When asked what he would add to it, he responded, "Deliverance. ... things like demons and healing ... it's the complete package -- the word and the works of Jesus?" But he was not yet ready to give a definitive answer to the question, "What is the gospel?" Continuing to be amazed, Banister asked, "Are you saying that you couldn't go back into that pavilion and tell those people the gospel?" He replied, "No, not yet. ... Maybe [in] five years, maybe ten ..." Amazingly, one of the leading theological minds in the Signs and Wonders movement did not know what was the gospel! [Source: 4/24/90, The Briefing, "John Wimber: Friend or Foe," Sydney, Australia -- Deere claims that the article contains "serious misrepresentations, false reporting, and erroneous methodology" concerning the Vineyard's teachings, and misrepresents his (Deere's) understanding of the Gospel.